BRAQUE is a London based writer, producer, and multi instrumentalist with a dark taste on Pop. He counts artists such as Prince and Kanye West among his influences and the elements of YEEZUS can be heard throughout the six track EP. Interestingly the EP is part of a trilogy, so it will be interesting to see where BRAQUE takes the series and whether the good music can continue. 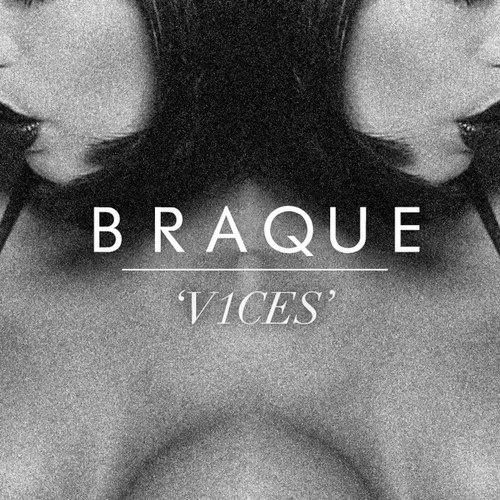 For the moment at least enjoy a superb release from BRAQUE, his V1CES EP is one of 2014's best EPs. You can download the V1CES EP on the player below or on soundcloud.com/braquemusic. You can watch videos for "Secrets" and BRAQUE's cover of Everything But The Girl's "Missing" by clicking the song titles.